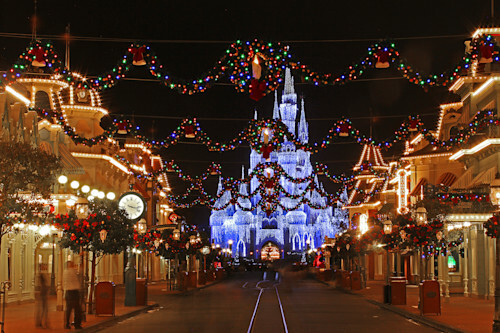 Is there anything more magical than walking down Main Street, USA during the Christmas Season? 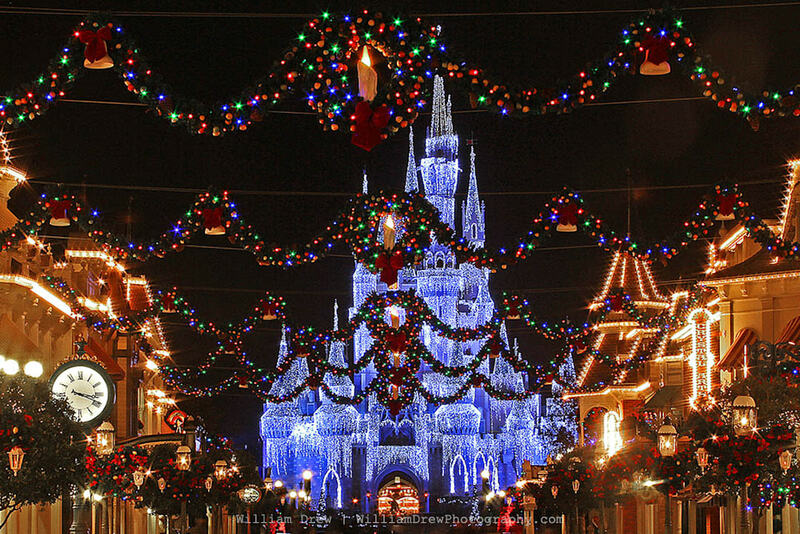 I love the sounds, the colors, the fake snow, and of course the spectacular view of Cinderella's Castle with it's Christmas Dream Lights. 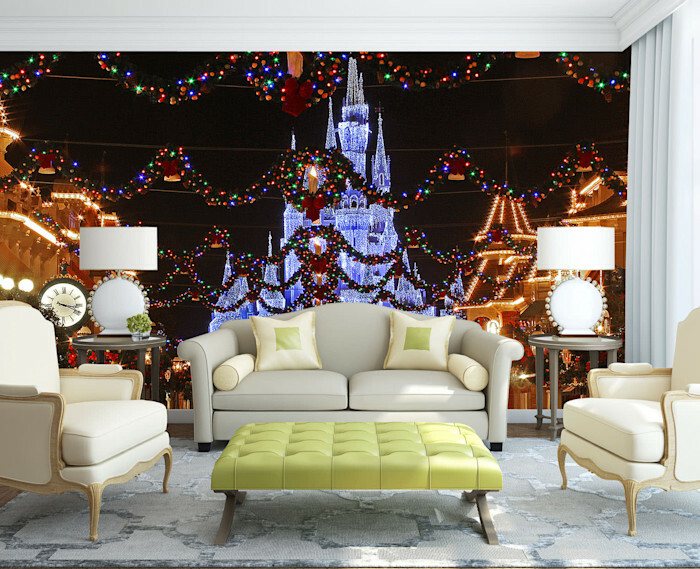 See the other media options for this print in my Disney Art Gallery. This is a throw-back Disney photo from 2012. If you look closely at the clock on Main Street, USA, you will see that the time is 3:15 AM. That was a very fun experience being in the Magic Kingdom that late. They no longer have the wreath-garland strung across Main Street. I both miss that garland and am glad it is gone. It looked nice, but it was in the way and cluttered the scene a little bit. 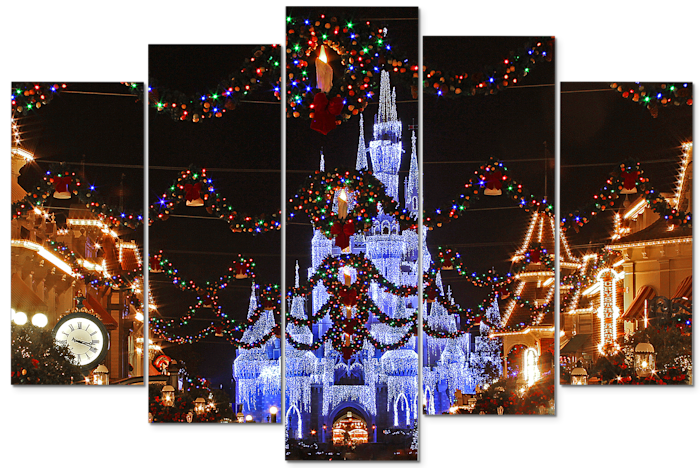 I hope you enjoy this Christmas at Disney Photograph, and please feel free to share it!